GO PUBLIC was honored to be an AMERICAN FILM SHOWCASE (AFS) selection. The USC School of Cinematic Arts sponsors the program funded by a major grant from the U.S. Department of State’s Bureau of Educational and Cultural Affairs (ECA). In concert with a panel of filmmakers, academics and festival organizers, USC reviews hundreds of documentaries and selects approximately 30 films per year, consisting of feature documentaries, short films and a few narrative features. This cultural diplomacy program sends American documentarians, filmmakers and film experts to emerging countries throughout the world for workshops, presentations, festivals and other activities. Here is a 5-minute video about the AFS Program. 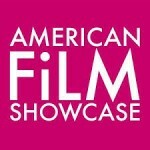 GO PUBLIC screened in several cities in Russia as part of the American Film Showcase.